The best job sites in South Africa is a detailed list of the very Best and Top job sites in South Africa that you can use to search and Apply for Job Opportunities in your Industry. 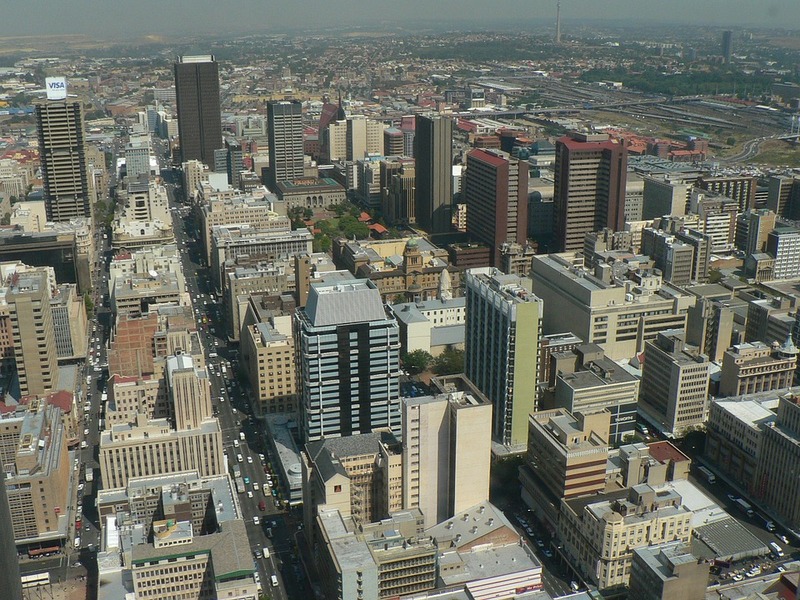 South Africa is one of the developed countries in Africa with varieties of job opportunities. Have you ever thought of working in South Africa? Getting a job is not as easy like the way you predicted it to be. You’ve been moving helter skelter just to get a good job but all your efforts got wasted. You are frustrated and tired and don’t know where else to search again but i have good news for you. Everything is easy with the lists of job websites we have compiled for you. In this post, i have the list of the 11 best job sites in South Africa which i believe will help you secure the job you’ve been searching for. NOTE: For you to be able to utilize this list of Job sites in South Africa, you have to read our Guide on securing Jobs in South Africa It was Ranked #1 by our Editor as the best Job Guide on the Internet For Job Seekers. Securing a Job is beyond going to School and securing a Certification or Degree, it goes beyond that, from Value, Presentation, Skill, Traits, Abilities, Sense, Understanding and Adaptation. All these put together, makes it possible or impossible for you to secure your Dream Job. What are your Values: Knowing and Projecting your Value is crucial to securing that Job, do you know your Value? What’s your Dress Code: Do you dress to suite? Yeah I know not everyone is a Fashionista but certain Profession requires certain way of dressing. What are your Skill-sets? : Did you just go to school to do a Theoretical Study or you know how to add-up? Companies need people who can Add-up. What are your Abilities, Traits, Manners or Sense? : You should know by now that people qualified to be Nannies must have passion towards Kids and have tender hearts too. Do you even know where to go Seek for Jobs? : Knowing the best Job sites in India and understanding how to use them to stand out against other applicants who will be applying for the same Job as you. 1. Career Junction South Africa Career Junction is a South African Job Portal with more than 6,000 Job Offers, Opportunities and Vacancies. Career Junction also have Android and iOS Apps respectively. Browsing through the finest Jobs in South Africa on the Career Junction App, you can Apply for these Vacancies right away as you surf or save them as Favorite to apply later. 2. Jobs.co.za South Africa Jobs.co.za as the name Implies is the Official Job website of South Africa as it carries the South African Top Level Domain Name Extension (TLD) for the Job Domain. 3. PNet Jobs South Africa This site searches for jobs across South Africa and find the best candidate for all employers. They have part time and full time type of employment. You can browse jobs by categories, by cities, by titles and by popular searches. Upload your CV to begin your job search or download the app on the app store. 4. Job Vine South Africa Jobvine is a foremost South African Job Search site which offers Human Resource (HR) Facilities for both Employers and Recruiters. 5. The Job Portals The Job Portal allows you find the Perfect Job just, listing out Popular Searches, Popular Locations and Countries. 6. Jobs Mail South Africa Job Mail does the shady work of curating and bringing together all the best of Jobs within and around South Africa. Sorted and organized by regions and Categories. 7. Indeed Jobs South Africa Indeed, being a Global Job Site and a Social Career Network, also caters for Job Opportunities and listings to South Africans. It also allow Job Seekers in South Africa to search for posted Job Vacancies by South African Companies and Employers. 9. Career Jet Career Jet notably among the most common and trusted Employment Search Engines in SA, has a database of well over 20 Million Job listings. 10. Jora Jobs Jora is a Job Board that allows Employers to post their Job Offers Free of charge. And for those looking for Jobs in South Africa, with almost 50,000 Jobs listed on Jora, you are rest assured of finding a better Job offer. Jobs.co.za is a good site you can a search for job. Search for jobs by location and by keywords. Having a 3.9 Star ratings on the Play store isn’t that bad and not only that, they attend to all reviews and Feedbacks placed on their App on the Play store. At Job vine, companies and agencies advertise their jobs for free. Job seekers on the other hand, scan through these jobs vacancies and select the job that match their profile easily. Many job vacancies are available on this site. They also offer jobs to people with disability. Job mail is one of the best sites to browse for jobs in South Africa. In job mail, job seekers create CVS for free. They also write articles that helps in boosting career. In Career Jet South Africa over 129,149 jobs are published on regular basis. It is designed to make the process of finding jobs easier for all users. Indeed is one of the best search engines in Africa and the world at large. In South Africa, Indeed helps job seekers get jobs, gives career advice and allows job seekers research on companies. It is the number one job board for South Africans. Glassdoor is the world’s largest job and recruiting site. This Career site in South Africa offers millions of job listings. They allow job seekers view salary reports, interview reviews and questions and lots more. Browse all jobs in Jora, it’s free and get job alerts for free. With a CV Databases of Thousands of Job Seekers in South Africa, Employers can search for suitable Candidates for their Job Openings. Am sure that with these best job sites in South Africa you will be able to sort out the job/jobs that suits your profile. You don’t have to face unnecessary difficulties by going from one company to another submitting your CV. companies these days submit their job vacancies online via job sites thus making it easier for you to search for jobs. The purpose of these sites is to bring together employers and employees so that employers can get the best candidates and employees the best employers. These 11 Job Sites for South Africans will be a better place to start your Job Search in all the Cities and Regions of South Africa.